The Daily is the undoubted heavyweight of the panel van sector – a massively engineered vehicle with a proper ladder frame chassis underneath that is built for hard work. You won’t find many local florists driving one of these. There is also a huge range of Dailys on sale - panel vans, crew-cabs, chassis-cabs, tippers and massive array of conversions, so most needs should be catered for. In fact there are 3,000 different models on the price list. The downside is that because the vans are so heavy, payloads suffer as the gross vehicle weight of the van includes both the weight of the vehicle and its cargo. Consequently, a 3.5-tonne Ford Transit will generally hold more than a 3.5-tonne Daily. The vehicle was heavily updated for 2006 to include a new exterior and a fresh look for the cab. The 2006 Daily has a 2.3-litre engine offering 96hp, 116hp and 136hp plus a 3.0-litre unit with 146hp and 174hp. Torque ranges from 240Nm to 400Nm. We’ve driven most of the engine options and all are extremely quiet. The 174hp unit is a belter but probably far too powerful for everyday needs. We found even the 96hp motor to be a lively performer and the biggest vehicles are relatively easy to manoeuvre. The choice of engine is really down to what the van is going to be used for - the smallest engine is fine for short-haul work on fairly flat ground, while the 116hp or 146hp unit is best for longer haul heavier work. The new model also sees the gearstick move from the floor to the dash and it’s much slicker to use. Iveco brought in one of the most famous automotive designers, Giorgetto Guigiaro, to design the cab of the new Daily and it shows. Gone is the slabby old truck-like dash, to be replaced by something much more chic and stylish. The old radio/cassette player has also disappeared, replaced by a CD stereo. The driver’s seat of the old Daily was good but the new one is even better and there is even an option of an air-sprung variety, which is well worth having for long distance drivers. The steering wheel doesn’t adjust at all but we’ve had no trouble finding a comfortable position, as the seat adjusts all ways. 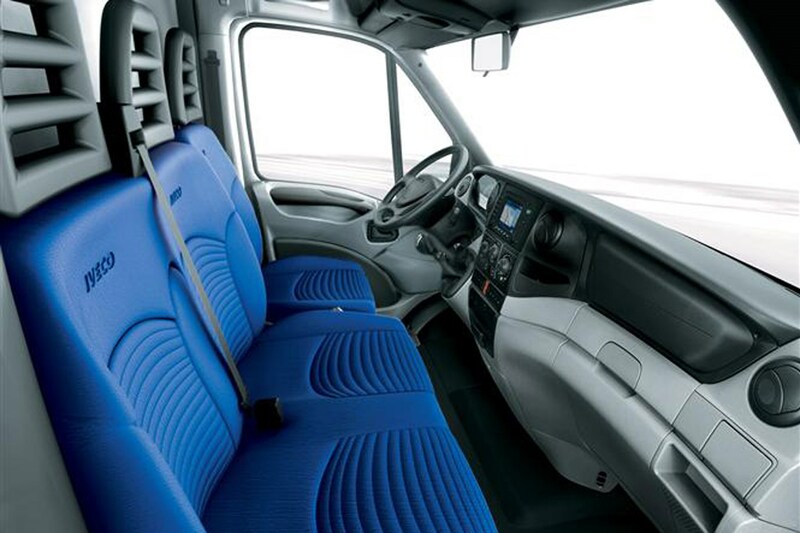 Iveco offers all the usual extras such as sat-nav, electric windows and an AGile automatic gearbox as options. The Daily isn’t the cheapest van on the roads by any means but you do get a lot of vehicle for your money. The warranty is three years/100,000 miles and servicing intervals are a credible 25,000 miles. Also worthy of mention is the 24/7 service available from Iveco dealers (that’s the benefit of buying a van from what is essentially a truck manufacturer) and the ‘Assistance Non-Stop’ breakdown service, where the driver is put through to the Iveco call centre in Turin and a mechanic is dispatched from the nearest dealer to the broken down vehicle. We’ve seen it working and it’s great. Look at how many old Dailys are still blasting up and down Britain’s highways and you’ll realise how their legendary reputation for reliability has been earned. The Daily has been around since 1978 and we bet there are still some original examples on the roads. A big let-down here. The Daily is the only new panel van on the roads that doesn’t have a driver’s airbag as standard across the range. Even the cheapest passenger cars on the roads have an airbag and Iveco should really know better. At least ABS brakes are standard but sadly traction control is an option too and as such the Daily trails behind competitors like the Ford Transit, Mercedes-Benz Sprinter and Volkswagen Crafter. On the security front, the Daily gets an engine immobiliser as standard (but not an alarm) and remote central locking. 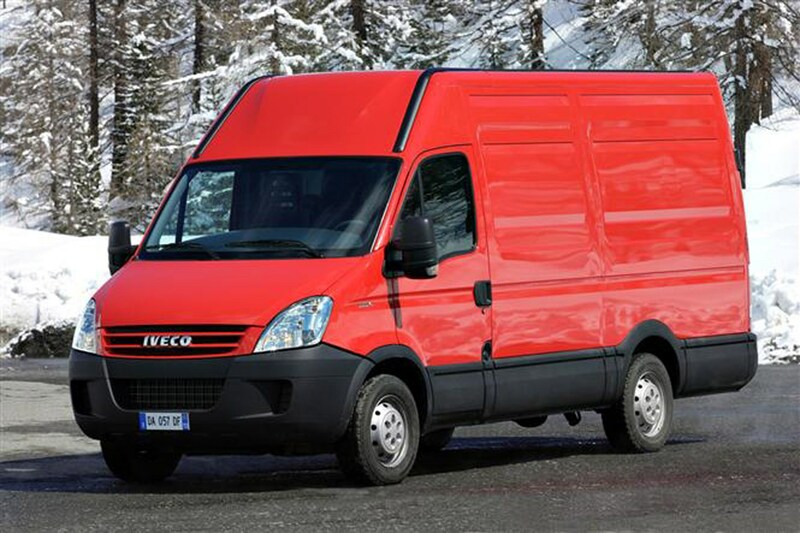 Which IVECO Daily (06-09) is best for me?